1. At the time of his death, Professor Zazzo Thiim was the oldest that he had ever been. 2. His last words were said to be, ‘Don’t throw it yet, I’m not ready’. 3. 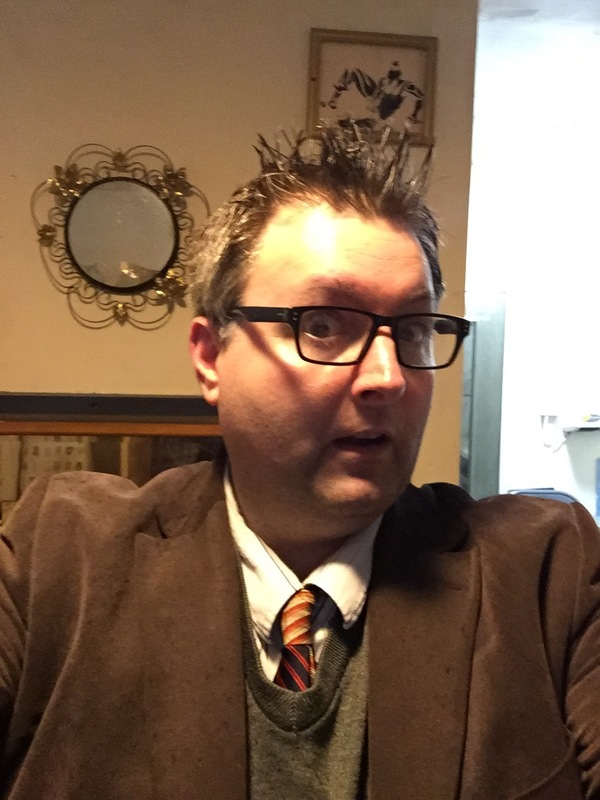 Professor Zazzo Thiim occupied the William F. Beaverstock Chair in Literary Studies at the University of Basingstoke. Until someone told him to get up and sit in his own seat. 6. Professor Zazzo Thiim’s hat is preserved in the New York Museum of Modern Art. In the Lost Property Office. 7. Zazzo Thiim translated into Navajo means ‘partaker of fungus’. 8. Professor Zazzo Thiim was never actually given the title of ‘Professor’. It just happened to be his first name. 9. Zazzo Thiim could easily have become MP for Basingstoke North if had he registered as a candidate, campaigned, and received the most votes. 10. Professor Zazzo Thiim never once attended a cricket match. 11. Professor Zazzo Thiim had phobias of cuckoo clocks, dustpans (but not dustpans with brushes), sofas, people called ‘Mark’, the colour magenta, his own left shoulder, and underground tube trains running on over ground lines. 12. Contemporary fans of Professor Zazzo Thiim include John Craven, former Canadian Prime Minister Stephen Harper, Lady Gaga, the two members of Oasis who aren’t those annoying brothers, Dame Judi Dench, Ian Rawlings (who played Philip Martin in ‘Neighbours’), and that bloke who played the android on that thing with the spaceship that used to be on TV, you know, the one with the annoying theme music. Many things strike one as peculiar in the novel Honeysuckle, Jasmine, Diesel Locomotive. At Just under nine words it is often seen more as a novella. Secondly, it’s sentence structure employs a certain Proustian deferment of the clause to its final undoing. (See Appendix Two). Thirdly, it is the only true book to have been written entirely in dialogue. Other factors, of course, are of detailed academic interest, and most of them have been probed by the eminent literary historian Augustus Slack who argues that ‘Honeysuckle, Jasmine, Diesel Locomotive, in its brevity, says more than most works ever could. Human affection balanced with environmental concerns. Destiny with the sensuous nature of the present. Allegory with undeniable truth . . .’, and so he goes on. There are many purists who object to aspects of the novel. The comma between the fourth and fifth word is often seen as superfluous, an unnecessary caesura, while others attest that this is a tribute to Lucie Fisher herself – how often, they point out, did Thiim refer to her as ‘my little punctuation’ (Slack, p118). Interestingly, the same purists detest the extended version mainly because it is without a comma. The word ‘while’ has connotations of a different kind, that Thiim should ‘wile away the hours’. (Tiffin, p93). The bumps and crenulations of the word are seen as mountain peaks, the troughs and ridges of a machine measuring his own irregular heartbeat as Fisher walks away. Others see the omission of the comma as an admission that life goes on, concepts race one into the other without pausing for thought. The ‘I’ and ‘you’ of the novel – its leading protagonists – are often translated as being Thiim and Fisher themselves. Certainly their characteristics would bear this out. Zazzo’s defiance of routine, Lucie’s quiet subservience, the constant hint of impending violence, the crumbling society of which they are both representatives. Other writers have written more fully on these subjects and this is not the place for a detailed observation – suffice to say that the significant theme of the novel is one of lost opportunity, love stifled by geographic variables, the brevity of all emotional embellishment. Forget the location, Thiim seems to be telling us : just grab it while you can. Others, though, have a different interpretation. Leonard P. Sterne has argued that the usual order is inverted : Fisher, in her absence, travels the world, while Thiim castigates himself for forgetting. (Sterne, p6). Others wonder what it is that the ‘you’ is forgetting : the ‘I’, the world, the act of travelling – and under what context is the sentence uttered? Has ‘I’ met ‘you’ after his journeys, or is this part of a letter addressed backwards through time? (See Appendix Two). Did he even go away at all? It is highly unlikely that Fisher would have read the finished novel. Indeed, she barely read at all, and had a very short attention span. It could be said that Thiim wrote the novel, therefore, safe in the knowledge that it would only ever be paraphrased to its sole recipient. And as such it remains as successful, a novel which, from its inception to its final realisation, has done everything that it set out to do. Ladies and gentlemen of the faculty. My fellow scholars and students. Your highness. (Sorry, Debs, I thought you were someone else). For a while I have been concerned with the variety of punctuation and the necessity within the act of writing itself not to bore the pants off people. And while some see this as merely the responsibility of content and editorial control, in my estimation, punctuation, too, must play its part. Hello? Hello? Is this thing switched on? Imagine, if one will, that one is reading a chunk of text. Now compare this to eating a sizeable flapjack. We all know that most flapjacks are plain, especially the ones from Tesco’s, and that some have a coating of various flavours. The coating, if you like, is the subject matter. It can be sweet and it can be sour and sometimes it falls off and crumbles for no apparent reason. And you have to get the dustpan and brush out. And at my age, that’s no laughing matter. But what of the flapjack itself? The main content, the oats and the syrup and the . . whatever the hell it is that goes in to a flapjack. These are the words. Sometimes the mixture is dense. (Madam, if you’re going to cough like that, I shall have to ask you to leave). Sometimes the mixture is dense, sometimes not so. But whatever happens, it’s hard on the old gnashers, and for this reason the occasional raisin, nut, chocolate chip or – heaven’s above! – lump of apricot, can be a pleasant and diverting surprise which does not detract from the whole flapjack eating experience, from the very flapjackness of the flapjack in question. How can punctuation mirror this? There can be no mistake that the majority of all written text is boring and uninspiring. I’m sorry, I shall read that again. There can be no mistake that the majority of all written text is aiming for conspiring in the acquisition of knowledge, in the same way that the flapjack is aiming for the suppression of appetite, or as a healthy snack, or as some kind of weird fetish the manner of which must be best left to those who enjoy their flapjacks in private. But the eye, just the same as the tongue or the various taste glands at the back of the tongue – bear with me, I know where I’m going with this – needs its sustenance to be broken down by instances in which the mind – or in the case of the flapjack, the throat – can rest, glance away from the page, think about something else for a moment. For this reason I have taken it upon myself to devise a system of little red Volkswagen going up a hill into the sunset – ah – sorry, I seem to have lost the next page. Now where the hell is it? I had it this morning when I was talking to that wacko from the University of Basingstoke – ah, here it is. For this reason I have taken it upon myself to device a system of punctuation in which a random symbol might be inserted willy-nilly within the text as a means for the tired mind or eye to find its bearing. Indeed, this very paragraph is filled with collards. Here’s one. And here’s another. And this line here, the one I am reading now, has several. This line doesn’t, but that’s okay because I feel rested and refreshed after the collards of the last sentence. So do you see? The act of reading has actually refreshed me. What are the benefits of the collard, I hear you ask? The page will look exciting. Imagine, if you will, a page filled with collards. How interesting this will be! How very intriguing to the enquiring mind! How easy it will be for the eye to glance down and gauge by the application of collards exactly where one is. And perhaps we might even break down the rhythm of collards so that the mind can, on a subconscious level, pace itself until the end of the paragraph. Collards and semicollards! Quarter collards! Inverted collards! The applications are truly exciting! And what of the corporate world? The collard has many possibilities. With no formal design or standardised font, the collard can be printed as tiny logos advertising corporate images, tiny advertisements inserted into the text. The ink industry is particularly excited over the collard’s development, anticipating quite avidly the extra ink that will be needed to print hundreds, thousands of new characters per book. I do believe that everyone will walk away from the collard experience enlightened, happy, refreshed. And that is why, ladies and gentlemen – woh! What was that? I know you might not agree with my research but there’s no reason to throw things! And that is why, ladies and gentlemen, I have done hundreds of hours of research in laboratory conditions on Peruvian reader-monkeys, comparing the results of those who have been left uncollardised texts such as Ian Fleming and Graham Greene, and those who have before them the newly collardised versions. In every case there were reports, amid the book-chewing that one would expect, and the rampant urination common among their species, of a more placid and accepting frame of mind among those who were given the new versions. That is why, ladies and gentlemen – (I told you not to throw things!) – I am particularly excited by the collard and its many possibly applications. Thank you for your time and patience – I said – thank you for your time and patience, scholars and students – and I’m sure that, with the collard on board, we might – Owww! That hurt. I’m down. I’m down. Medic, over here. They got me. Bloody hell, that hurt. A couple of years ago I decided that I’d had it with poetry slams. This wasn’t because I kept losing, though I did crash out of the preliminary round of the Cheltenham All Stat Slam coincidentally the week before I made this decision. It was more a creative decision. I’d found that I was writing poems just to fit in with the whole slam ethos of a quick three minutes of ranting. And doing slams around the place, I’d seen a lot of ranting. I cut myself off from the slams, and quelled the need to do slams. 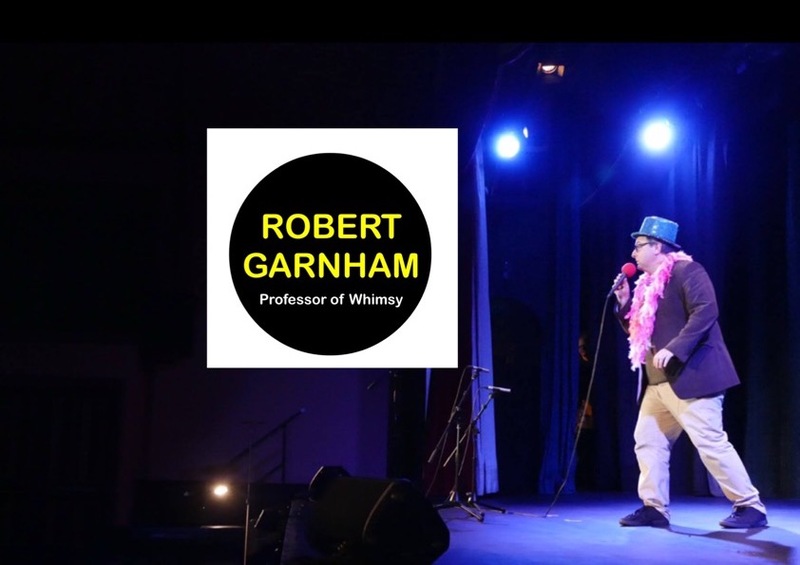 I was asked to judge a couple of them, the Exeter Poetry Slam and the Poetry Island Slam in Torquay, and judging them was even more nerve wracking than being in them. The need for consistency and objectivity mixed with the emotional side of seeing people perform and knowing that they were heading for a low score, knowing that I was about to completely shatter their evening. It’s not that I had a bad record in slams, either. 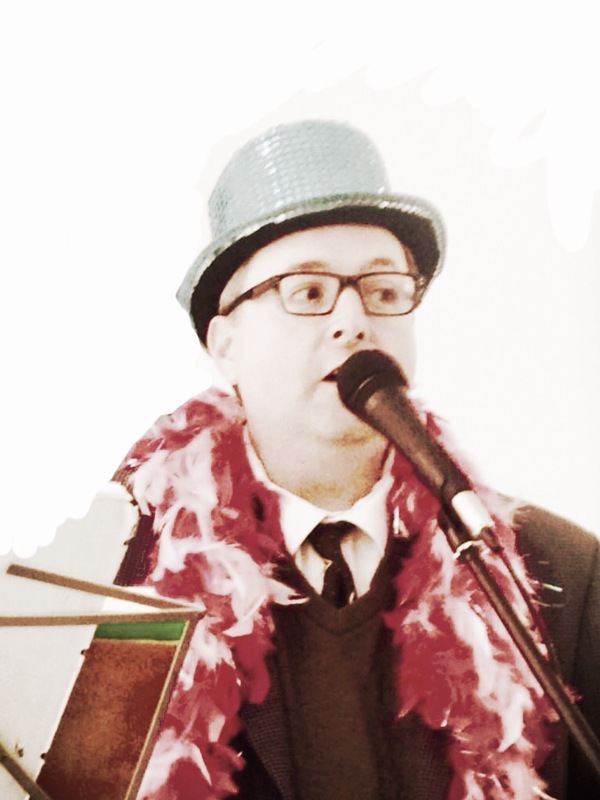 The first slam I entered was the Exeter Poetry Slam about five years ago, and I joint won it with Daniel Haynes. I came second in the Bristol slam the next year, and second at the mighty Swindon slam. A team I led won a team event in Exeter, and then I won the Spokes Amaze slam, also in Exeter, coincidentally at the same venue as the Exeter Slam and the team event. And in Edinburgh myself and another poet won a slam against a team of comedians. But a moral idea asserted itself, that poetry and spoken word are art forms and cannot be judged or given points as in a sporting event. Every spoken word piece is a valid piece of art and the circumstances of its performance, audience, composition and meaning are different under so many conditions that it’s almost impossible to see it as a constant piece. Art should not be judged, i told myself. Moving away from slams the last couple of years was one of the best creative decisions I’ve made, as it allowed me to concentrate beyond the slam format. Consequently I wrote short poems, long poems, comedy pieces, songs, mimed pieces, musical and prop pieces, without even thinking each time as I sat down, hmm, how will this go in a slam? 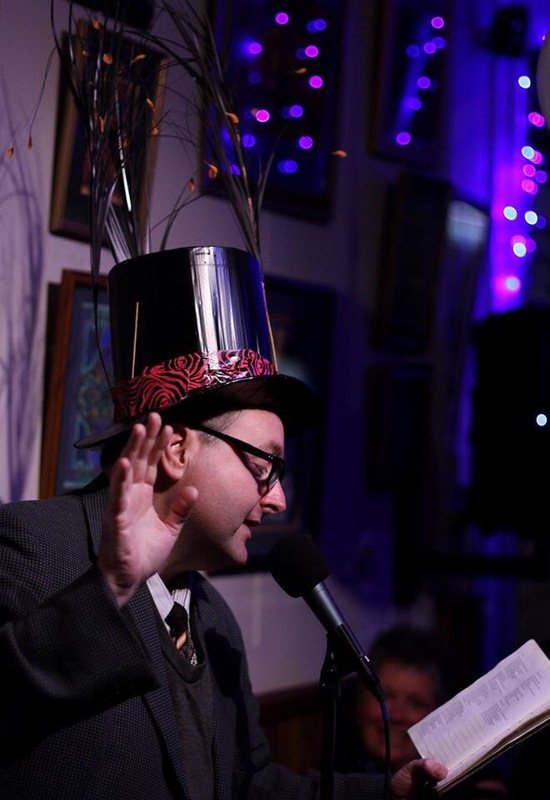 It also allowed me to look beyond writing for a youthful slam audience and more for the regular poetry-loving gig audience member. No need to shock or preach, just to entertain and to write humorous or thought provoking pieces. Lately there has been a glut of slams in South Devon as a means to find slam champions for a bigger event at the GlasDenbury Festival. As a judge at one of these events, and as a special warm up act at another, I was able to see that these events meant a lot to the competitors, and that they were hugely entertaining. 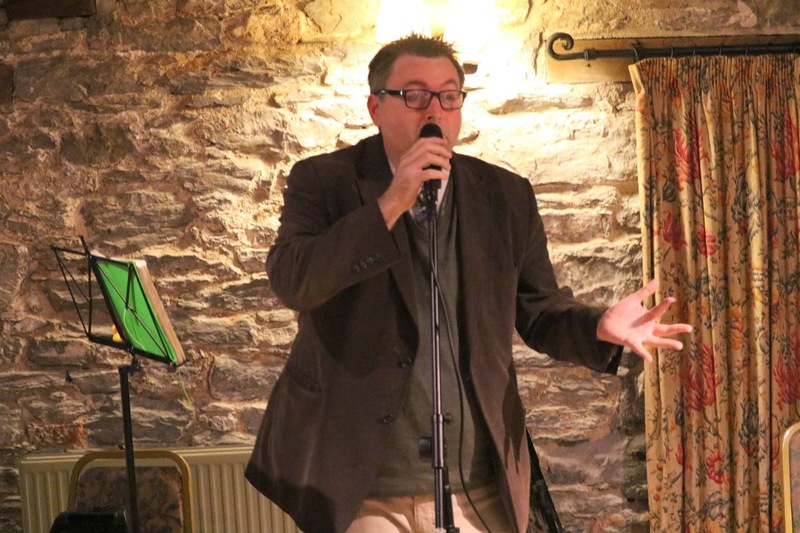 For reasons which I’m still not sure, I put my name down for the Totnes Slam, then spent the next few days worrying that it was the wrong thing to do, whole obsessively timing my poems and practising, just like the old days. And wouldn’t you know, I won it! So now I’ve completely changed my mind again and I want to get slamming again. The only difference this time is that I have more pieces in my back catalogue, and if a piece just happens to fit the slam ethos, then that’s fortuitous. I’m still going to be writing outside of the slam conventions, but yes. I’m back.